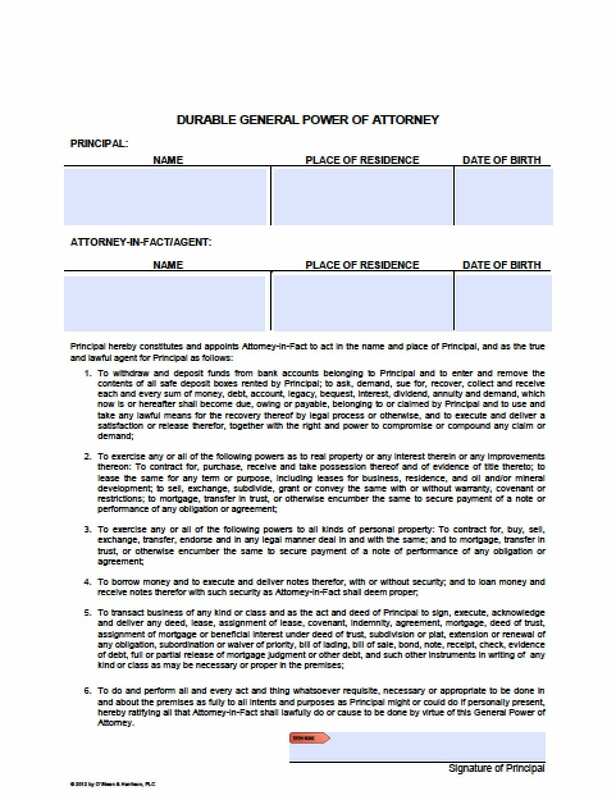 The Arizona durable power of attorney form is a written instrument by which a principal would designate another person as the principal’s agent. The instrument shall contain words that demonstrate the principal’s intent, that the authority conferred in the durable power of attorney may be exercised. (See revised §14-5501). This power of attorney document turns over all financial responsibility to the principal’s attorney in fact. Read all of the information in the document very carefully to be certain that you wish to provide these powers to your attorney in fact. The notary will then hand the document back to you. You and your agent should both retain a copy of the full document.